You’re reading the text version of the Social Media for Authors Podcast, Episode 28 published and copyrighted by Frances Caballo every week. As usual, this week’s episode includes summaries of four blog posts with awesome social media marketing tips and, of course, I have your tip of the week. Enjoy! First up is your weekly tip. Let’s start by talking about Twitter, my favorite topic. Do you ever pay attention to Trends on Twitter? You’ll find trending hashtags in a white box in the lower left corner of your Home page, which is your news feed. Some are fun, some are for trending news items, and some are there because marketing companies created them. As I look at my news feed, #UKYAchat is trending. If you think that hashtag doesn’t relate to writers, well, you’re wrong. UKYA stands for Young Adult Books written by United Kingdom-based authors. If I were a YA writer, I’d use it regardless of where I resided, and I’d join the chat. Another day, #picturebooks was trending. And a year ago, #IReadEverywhere was created and promoted by a library in New York. It caught on fire. A client of mine writes about domestic violence, and that keyword was trending this morning. So I made sure I used the hashtag and retweeted the most popular tweets on that topic for her. One hashtag trending at the moment is #WhenTrumpisElected. It’s fun to read the tweets. My point is that you need to check for trending hashtags. Yes, some of them will be about Trump’s comb-over but many of them will be on topics or issues either of interest to you or pertinent to your books, genre or niche. So check out the trending hashtags when you visit Twitter each day and see if any of them interest you. You just might be amazed at how using those fashionable hashtags of the moment will bring new followers – and maybe even new readers – into your sphere. Now let’s segue to the second part of the podcast. Let’s start with this post by Buffer titled The Complete Social Media Checklist for Writing Winning Posts. Buffer suggests you ask yourself 12 questions to ensure your posts will be “wildly successful” – or at least generate some retweets and shares. Is your message educational or entertaining? On Facebook especially, users like to be entertained. What’s your voice like? Are you positive in tone and helpful? Is your post too long? On Twitter, keep your tweets between 71 and 100 (that number keeps getting smaller!). On Facebook, Buffer recommends you keep your posts to 40 characters while on Google+ you want your headlines to be no longer than 60 characters. Is the URL is correct? Did you add a commanding visual? Check the post for a complete list. There was an interesting post on the Social Media Examiner blog this week titled The Future of Google+, What New Research Reveals. Here’s the gist of the post. A web research company named GlobalWebIndex surveyed 83,806 Internet users ranging in age from 16 to 64 from countries around the world, with the exception of China. While 60% of those surveyed claim they have a Google+ profile, only 21% of Internet users self-identify as active users. In contrast, Facebook has captured 81% of all Internet users, and among those users 42% are active. More than 91% of Google+ accounts are empty. Yep, there’s not even one post on these accounts. 16 million people post to Google+ each month. Of the 2.2 billion Google+ profiles, just 212 million are active. YouTube and Twitter fare slightly better yet no one talks about those networks as ghost towns. I think too many people are comparing Google+ with Facebook and let’s face it, no one can compete with that behemoth. And just this week came the announcement that YouTube will no longer be integrated with Google+. As you’ve noticed, Google forced everyone who wanted to use its products (YouTube, Drive, etc.) to join Google+. But that condition hasn’t helped the network to flourish. Essentially, Google’s admitting the defeat of one of its original goal of using Google+ to give users one identity across all of its services. Will Google+ survive? Stay posted. 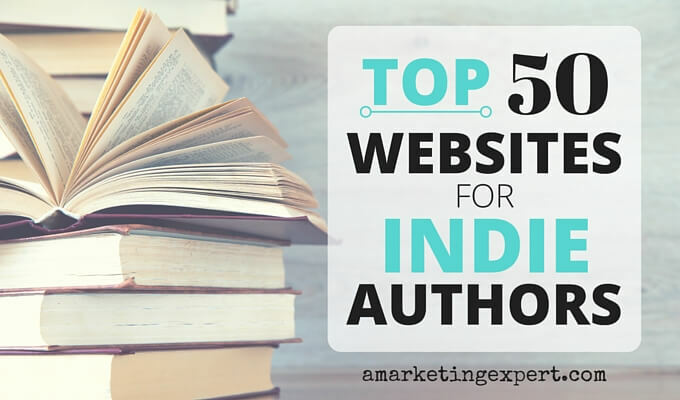 Next up … I’ve meant to share this wonderful post by Anne R. Allen titled How NOT to Sell Books: Top 10 Social Media Marketing No-Nos for Authors. Let’s face it. Authors do a lot of obnoxious things online in the name of “marketing.” … Good marketing is not about bullying your customers. It’s about enticing them. Forgetting that social media is social. Emotional blackmail in demands for shares and RTs. Have you noticed that I stopped asking for RTs? Projecting a snarky, nasty online persona. Hey, if you want to sell books, be nice. Starting lots of social media profiles, websites, and blogs … One for each book. Don’t do it! Pop-ups on your websites. I detest these. Auto direct messages on Twitter. What will happen is that people (like me) who get tired of direct messages stop reading them. Please don’t automatically send people a direct message for following you. No one appreciates those messages. Have you pitched your book on someone else’s Facebook page? Two people have done this to me, and I’ve unfriended them. I know, I can be ruthless, but it’s too rude. Be sure to subscribe to Anne’s blog. You’ll love it. Buffer also wrote a post titled A Scientific Guide to Hashtags: How Many, Which Ones, and Where to Use Them. Some people say hashtags were so yesterday and yet here comes a post from Buffer in which the author says tweets with hashtags will get you double the engagement. What’s my take? I use hashtags to curate information, to find people to follow, and to see what’s in the news. I figure that if I’m using hashtags to dig through my newsfeeds, that I need to use them as well. But here’s a caveat here. I don’t like to use more than one per tweet. Why? I think the tweet begins to look crowded and even desperate for attention. So if you want to learn the latest scoop on hashtags, be sure to read this post from Buffer. Finally, I wrote a post titled Social Media Hacks for Indie Authors. On February 1 I fractured my left wrist and had to rely on my hacks – tips and tricks – to be efficient while using just one hand. To schedule your daily social media posts, I suggest you use a social media dashboard such as Hootsuite. If you want to up your game in your social media marketing, download my free Social Media Cheat Sheet. This cheat sheet will take the guessing out of when to post your social media messages. You’re reading the text version of the Social Media for Authors Podcast, written and copyrighted by Frances Caballo. Connect with Frances on Facebook, Twitter, LinkedIn, Pinterest, and Google+. Loved this episode? Subscribe to the podcast on iTunes! What a nice plug for my blog! Thanks a bunch for the shout-out. And thanks for spreading the word. Writers don’t want to be obnoxious on social media. They’re taught to do that stuff by marketing gurus who don’t get that readers don’t react well to bullying. And what villainous marketing mastermind decreed that every website has to have one of those horrible pop-ups? I’m so glad you agree with me on those! Anne, You are so welcome! I adore your blog, by the way.